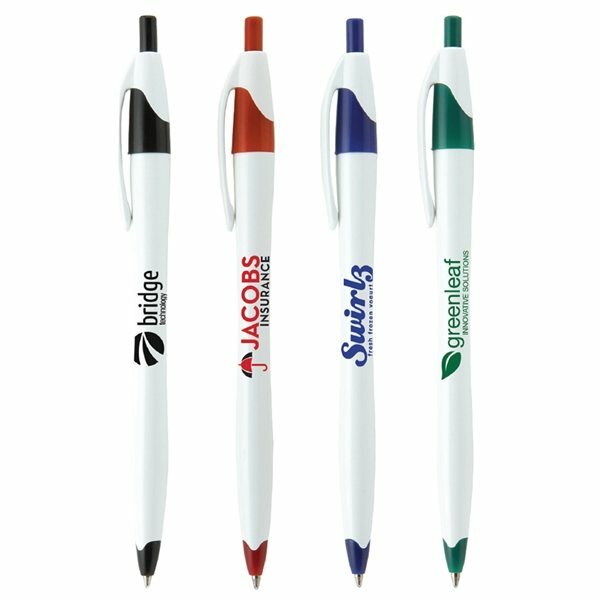 Shape up your new advertising plan by adding the Stratus Whites to it! 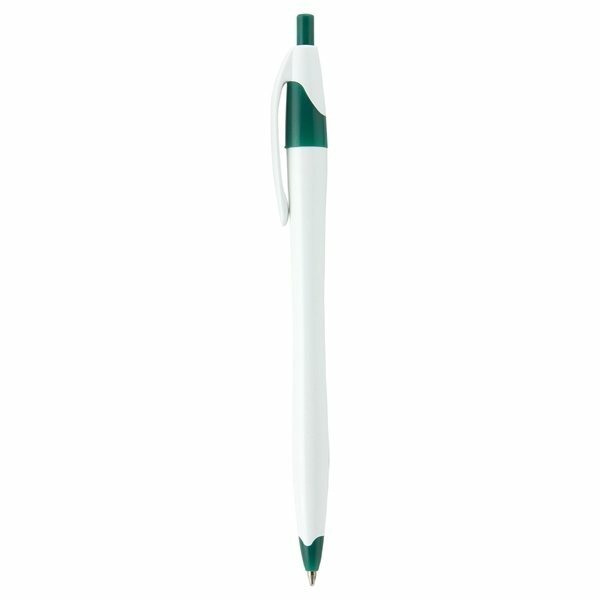 This medium ballpoint plastic pen features an iconic design with smooth curves, a solid white barrel and matching trim colors and imprint. 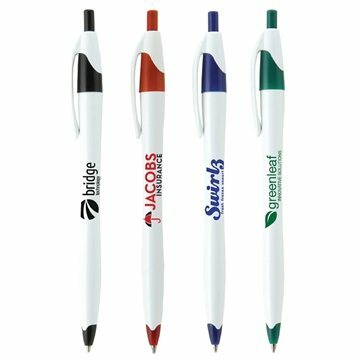 It comes with blue or black ink and you can choose from five trim color options. 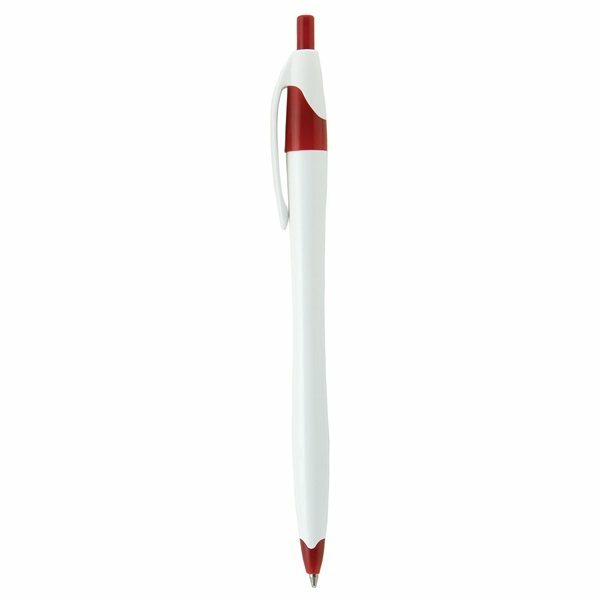 This is great for various events like grand openings, trade shows, conferences and more. Order yours today and carve out your place in the industry!